Every Shabbat, many young professionals and families join together at Chabad for inspiring services, where they can meet great people and enjoy a delicious Shabbat dinner. We would love to have you join us! 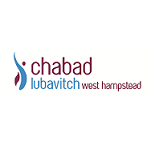 Please email us in advance at info@chabadnw6.com to check if there will be a Shabbat Dinner the week you would like to come. We also host a light Kiddush/ lunch, every Shabbat morning after Shacharit. After everyone has tickled their taste buds, the Rabbi or guest speaker shares a story or insight. The inspiration itself transforms the Kiddush into a Farbrengen. The Farbrengen starts at around 12:15 but doesn’t have a time limit and can often go on late into the afternoon. Even if you pray at a different synagogue you’re welcome to pop in to the Farbrengen.